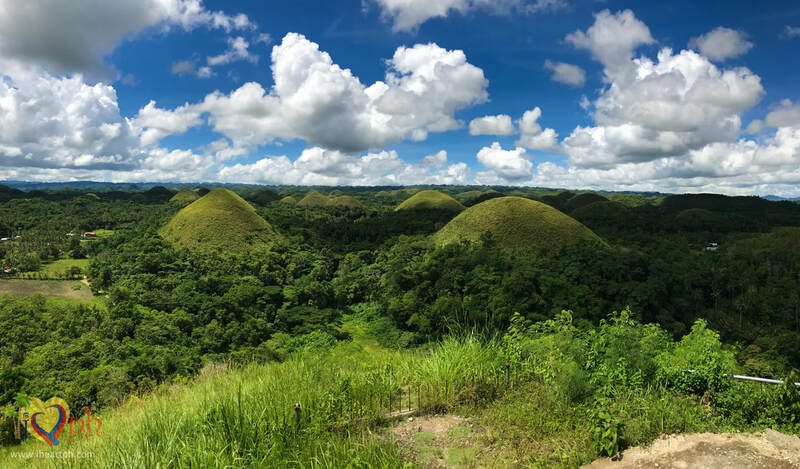 Spend at least 10 hours in Bohol so leave Cebu early. Earliest ferry traveling to Tagbilaran City leaves at 5:00 AM. The ferry trip is about 2 hours so you will arrive in Tagbilaran City by 7:00 AM. Buy a round trip Cebu-Tagbilaran-Cebu ticket instead of lining up again to buy one for your return trip. For a complete list of ferry options from Cebu to Tagbilaran City, I usually refer to this page by Bohol.PH. Make sure you check when they last updated the article but so far, they've been diligent in updating the schedules and fares. Make sure to travel light. If you are staying in a hotel in Cebu, you can ask the reception to safe keep your items. Have breakfast in advance in Cebu or pack up one since there are very limited number of establishments open 24/7 in Tagbilaran City. There are the usual 24/7 fast-food chains like Jollibee and McDonalds but these are all they have. Hire a private van with driver/tour guide who can take you around Bohol. There are at least 8 places that you can go to during this countryside tour plus Panglao Island. You can check out my list of places to see during a countryside tour here. The van costs about P3,500 good for 12 people. Some tour operators have smaller vans or sedans which can costs lesser for smaller groups. The tour package already includes free pick-up and drop-off at the ferry. For a complete experience, I suggest you take the Loboc River Cruise and avail of the lunch buffet on board so you save time.